Coolstar, the developer of popular Jailbreak “Electra” has publicized that version 1.1 of Electra has been developed. But the IPA file has not been uploaded yet on the CoolStar’s official website. Electra is most popular jailbreak solution and many people who own iOS 11/11.1.2 device use it to jailbroken their device. 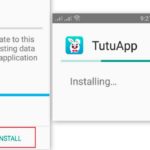 For last few months, the developer of this tool is working hard to update it. CoolStar told that the new version of Electra would come with the improvement of the previous version of this tool so that users will experience a better jailbreak environment on their iOS device. We know that you are excited to use this successor of Electra on your iPhone but unfortunately, the IPA file has not been gotten. But from the announcement, you can get an idea about Electra Version 1.1. 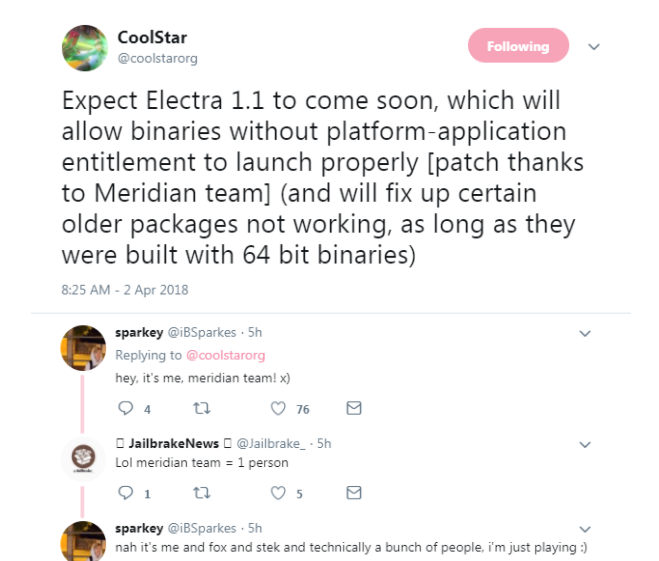 CoolStar told on its Twitter Account “Expect Electra 1.1 to come soon, which will allow binaries without platform-application entitlement to launch properly [patch thanks to Meridian team] (and will fix up certain older packages not working, as long as they were built with 64-bit binaries).” One of the Developers of Meridian, Sparkey, also confirmed that the Meridian team is also working on this version. Electra Jailbreak 1.1 latest Update is here! 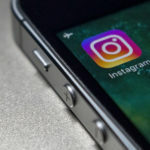 Some iOS device owners have frustrated with the performance of the current version of Electra. But it is assured that the updated version will work better than previous. The updated version of Electra will solve the issues with older package and users will use it without any hassle. 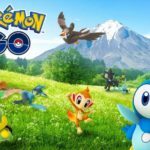 According to the announcement, the updated version will include 64 –bit binaries otherwise it will not work with iOS 11 and other devices which run on 64 –bit slice. The Electra version 1.1 will come with a clear idea about the roadmap of a Jailbreak app. When it was released first, people did not understand whether it stood for a test or not. But now it will be cleared in the new edition. We are seeing that multiple versions of Electra (from beta to public) are being come and it makes us confirmed that CoolStar is serious about this project. The team of CoolStar tries to add more functionality with this jailbreak Toolkit and make it stable on iOS device. But unfortunately, CoolStar did not announce the date when this updated version of Electra with is available from the online marketplace. So That Users need to wait to have this on their iOS device. 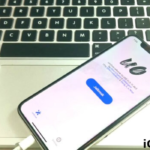 How to Install iOS 12 Beta on iPhone without Developer Account [GUIDE]. “Untrusted Enterprise Developer Error on iPhone”[How-To-Guide].